At this rate, the 11-story building that topped Preservation Chicago‘s 2007 Chicago 7 most-threatened list will soon be reduced to nothing. 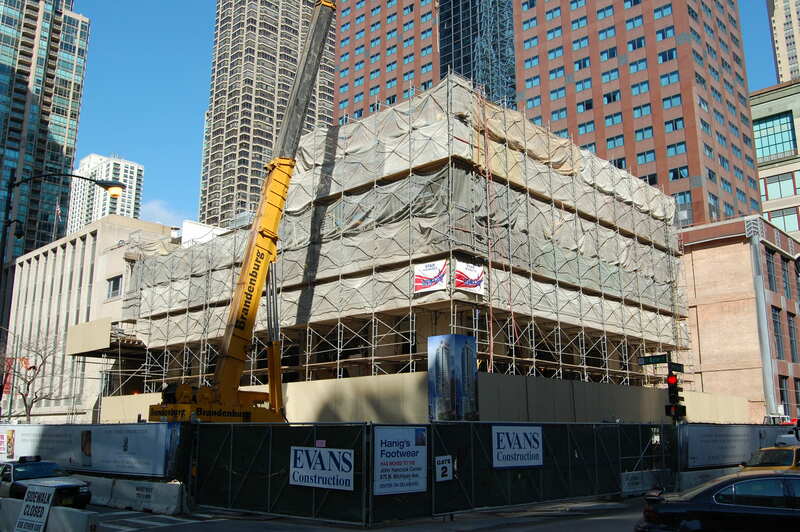 As we’ve reported in the past, the Farwell Building at 664 N Michigan Ave in River North is being dismantled, and together with a 40-story high-rise it will constitute part of the Ritz-Carlton Residences. 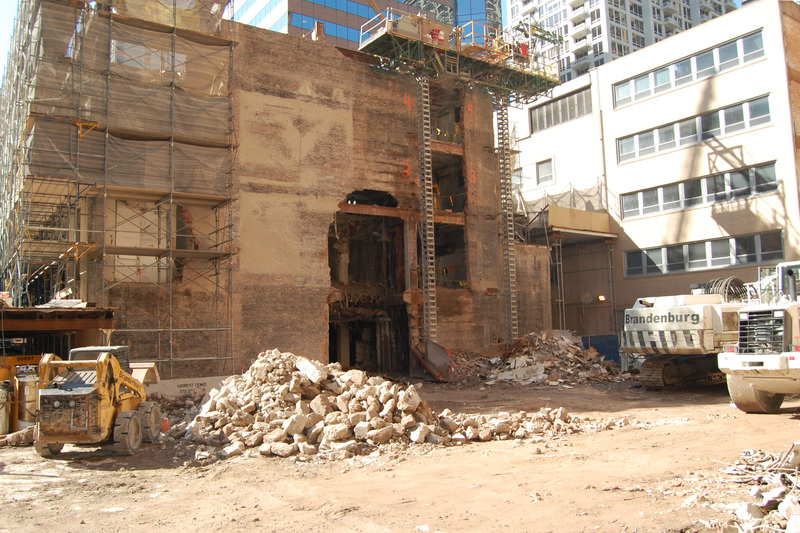 The plan calls for meticulously removing and cataloging the elements of the limestone façade of the 1920s Farwell Building at 664 N. Michigan Avenue, former site of the Terra Museum of American Art. Prism would then raze the 11-story deteriorated structure making way for a new foundation, structure, and strong-back system to receive the restored façades. Once the new building is constructed, the restored façade will be filled in with replicas of missing decorative elements, along with “new roofing materials to safely replicate the original slate,” according to the Web site. The new Farwell Building will feature retail and office space, and the residential portion of the Ritz-Carlton Residences will be in the high-rise. Are foreign investors returning to Chicago? It was a totally pedestrian structure in its day and only the passage of time made it seem of any merit. Lagrange fools again…He has some fine work out there (Elysian, North LDS, Goethe St) where the city was more involved in design issues. But once he gets out of the Gold Coast, his other recent projects and proposals seem to be steeped in preservation or neighborhood contextual issues and controversy, exhibiting a desire to roll over any consideration for preservation respect. it seems as if he has Hyde “B” Team working these projects while the Jeckle Team works on the others. Interesting that many of current proposals he is being asked to work on also involve huge amounts of TIF fund requests?